Training agency PADI has teamed up with action-cam manufacturer GoPro to launch an underwater video competition for scuba-divers, freedivers and snorkellers. Their Evolution contest is open to any film-maker, amateur or professional. It is split into three six-week phases: Capture, Edit and Capture/Edit. First prize in each phase of the competition is US $2000, with a $500 GoPro Hero7 for runners-up. The first phase, Capture, runs from now until 30 May and requires competitors to record “an amazing underwater experience”. The second contest, from 1 July to 15 August, puts editing skills to the test, as GoPro provides a series of video clips to be used in an exercise that it hopes will “inspire creativity and unique storytelling”. The final Capture/Edit contest runs from 16 September to 31 October and requires competitors to put everything together into one story. In each phase of the competition, submissions have to last no more than a minute. 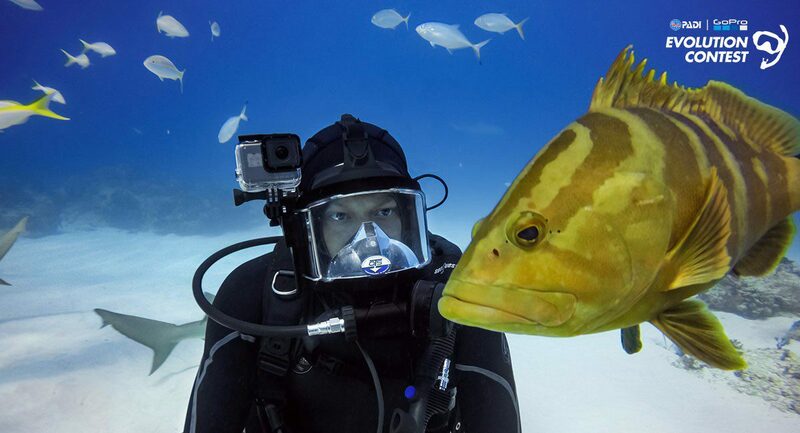 Video tutorials from GoPro “ambassadors” on shooting and editing underwater videos accompany each phase of the contest. “Whether you’re passionate about serious videography or just snapping casual shots (and we need both), your images have power,” said PADI President and CEO Drew Richardson.